Sunnyland, after which the album was named, was an old, abandoned psychiatric hospital that somehow provided the backdrop to experiences from their youth that inspired songs on the album. The hospital has long been demolished, but Mayday Parade is able to take us back to those certain point in with songs like “Never Sure,” “It’s Hard to Be Religious When Certain People Are Never Incinerated by Bolts of Lightning,” and “Piece Of Your Heart”—new anthems to take to heart from a band that fans have literally grown up with these past years. 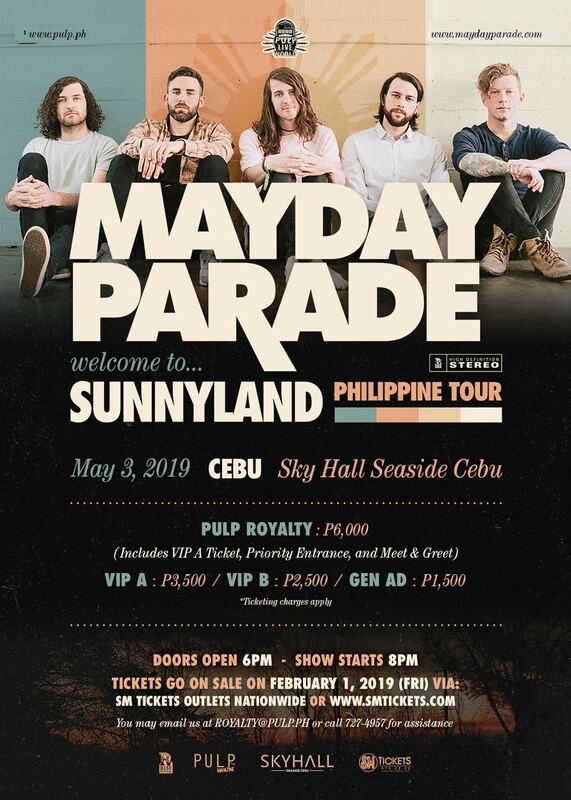 Tickets for the CEBU show are priced as follows: PULP Royalty—P6,000 (includes VIP A Ticket, Priority Entrance and Meet and Greet with the band), VIP A—P3,500, VIP B—P2,500, and General Admission—P1,500. 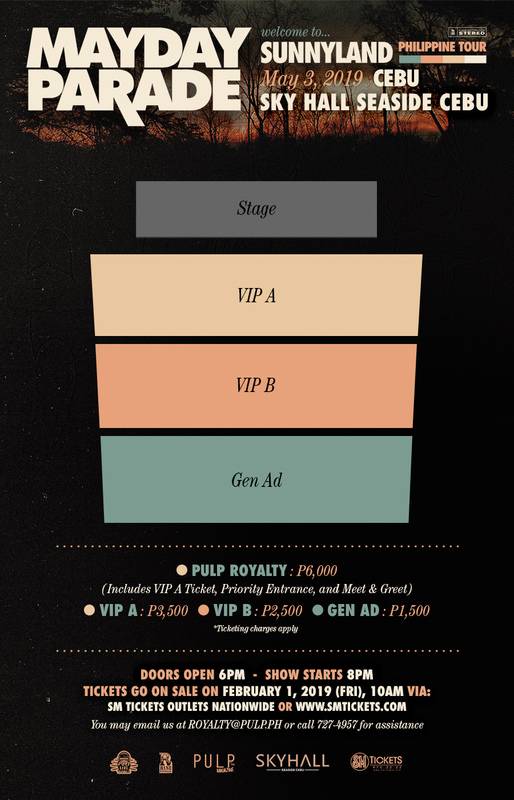 Tickets for the MANILA show are priced as follows: PULP Royalty—P6,000 (includes Exclusive Royalty Pit and Meet and Greet with the band), VIP Orchestra A—P3,500, VIP Orchestra B—P2,500, Loge—P2,000, and Balcony—P1,500.